Time after time we’ve heard Obama and his administration claim that nothing is a bigger threat to civilization than climate change. On top of that, every single democrat candidate makes the same claim. Recently, Bernie Sanders tried to justify the terrorist attack in Paris claiming climate change caused a drought and they were all just really upset they couldn’t grow crops. Seriously? What is wrong with these people? Truly, liberalism is a mental disorder! So, to top it off, Obama had a press conference at the White House with French President François Hollande urging Americans to unite against the threat of terrorism. You guessed it, attend a climate change summit in France. 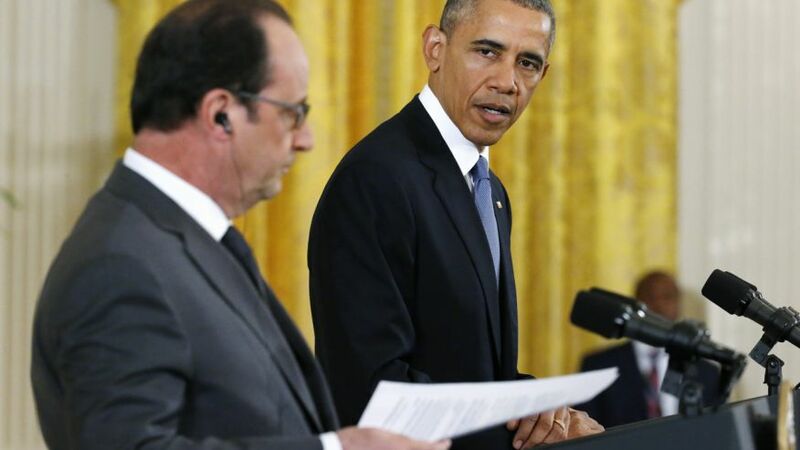 If you ask me… France and Russia dropping hundreds of bombs on ISIS controlled areas is a pretty powerful rebuke. The Islamic State couldn’t give two craps about climate change, or global cooling, or global warming, or weather for that matter. They care about one thing: killing anyone who doesn’t agree with them. That’s just two of the ridiculous comments that I’ve seen on social media. But, I think too many people are losing sight of the bigger picture. 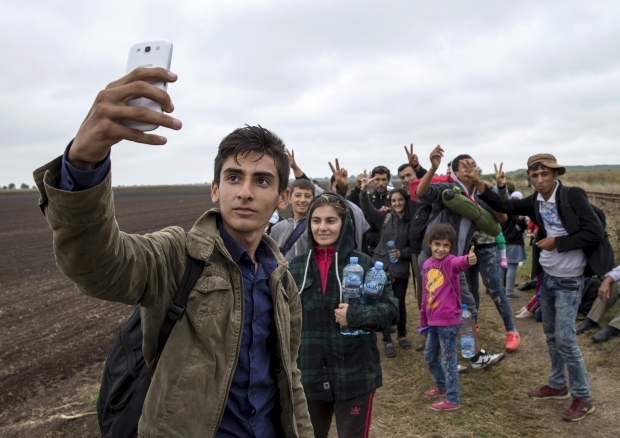 It’s easy to want to help people in war-torn areas. I get it. As Americans, we tend to want to help others. But… it’s far more compassionate to turn them away right now. Aside from knowing Washington is in charge of vetting these individuals, we need to ponder on why other Middle Eastern nations are not taking them in. Obama said at the G20 press conference that America doesn’t have a religious test for who we’ll help. Yet, how many of the refugees that are being dispersed are Yazidi? How many of them are Coptic Christians? Aren’t they also in immense danger as long as the Islamic State is around? Ask yourself how it’s compassionate to bring in someone completely foreign to the American way of life and make them assimilate. It’s not going to happen. They don’t understand it. Also, don’t forget that there are already groups like the Muslim Brotherhood and CAIR operating here and radicalizing more and more Muslims each day. 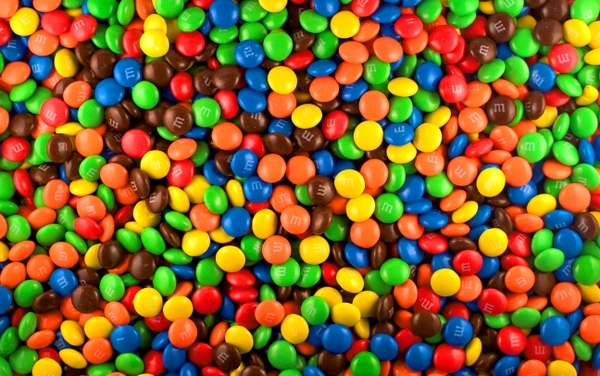 Among all of those you see in that picture, some of them have been poisoned. Are you willing to chance eating them? Here’s another way to think about it: Why do you lock your doors at night? Is it because you want to keep people away, or is it because you love those that are already inside? Yes, there are still a lot of questions that need answering before we just start accepting thousands of these refugees. It is compassionate to say no. It’s okay to turn people away, knowing that it would be better for them to go to an area of the world that already understands them and their way of life. Why are they not willing to stand and fight for their own country? 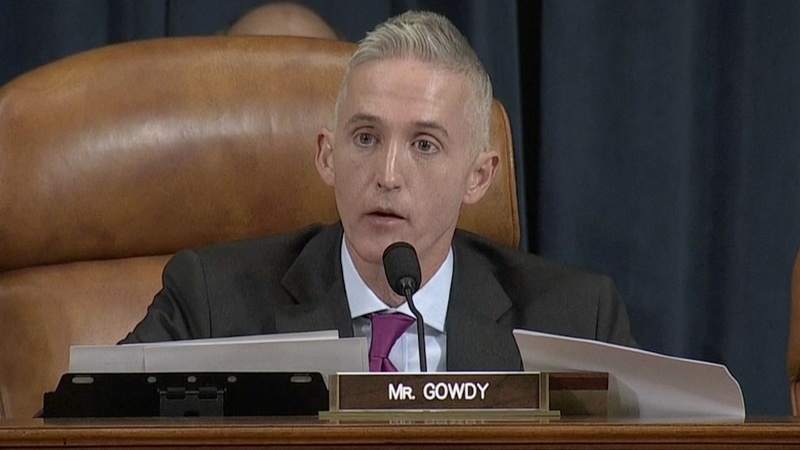 Trey Gowdy didn’t waste any time during his opening remarks to confront former Secretary of State Hillary Clinton on the investigation of Benghazi. 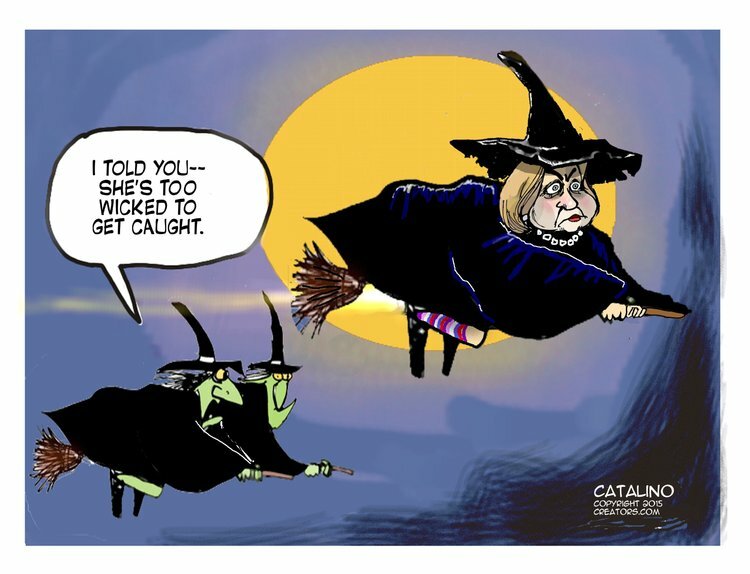 Clinton has made previous remarks that this investigation was all about her and it was an all-out witch hunt. 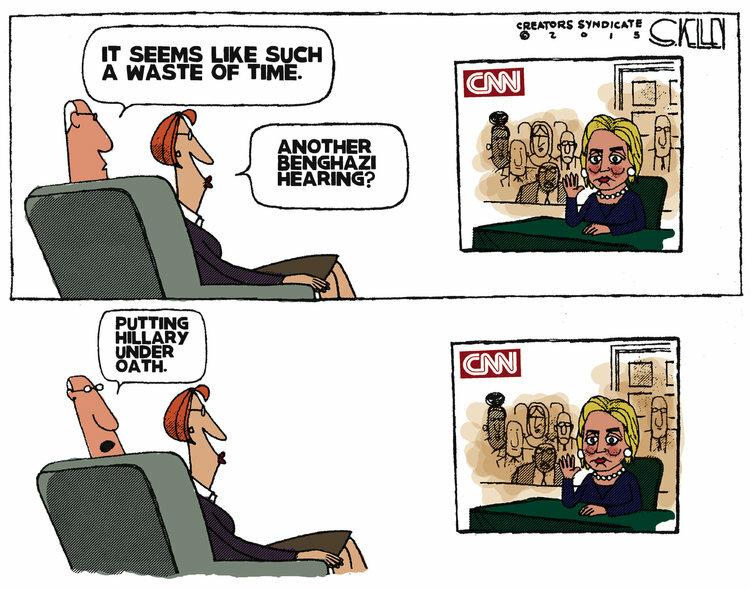 Nonetheless, it was her turn to testify to what happened in Benghazi that left four Americans dead. 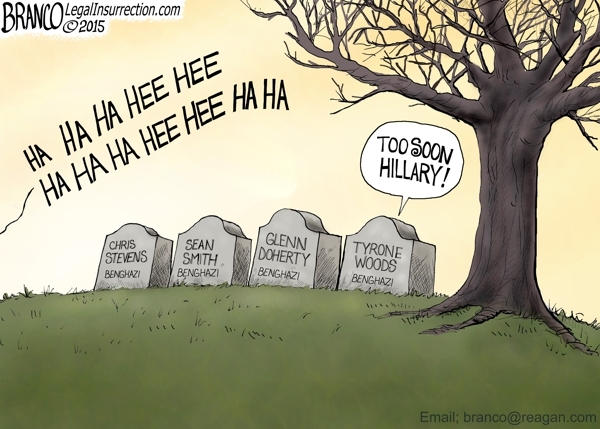 This marks the second joke she’s made in reference to her homegrown email server being wiped clean. Her first was jokingly referring to how much she loves Snapchat because they disappear all by themselves. 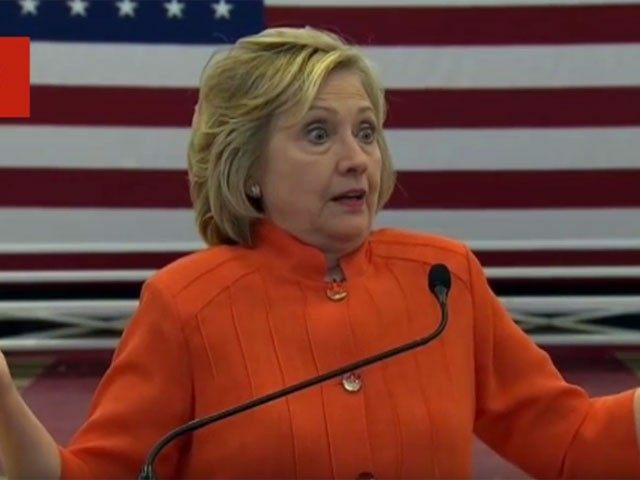 This shows her complete disconnect from the reality and severity in what she did by hosting her emails on a home server. A server that was kept in a bathroom closet. Am I the only one who finds it ironically funny that her email server was stored in a bathroom where it was wiped clean? Seriously?! Let’s just hope she’s not so untouchable that she will, in fact, undergo a complete and thorough investigation. 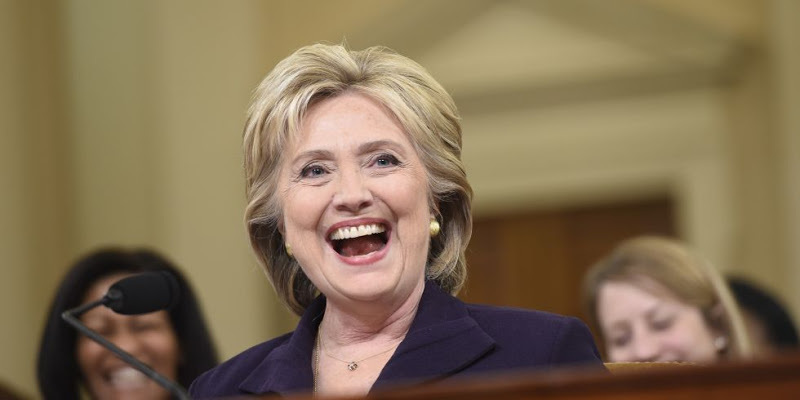 There is a high likelihood that she has placed our national security at risk. 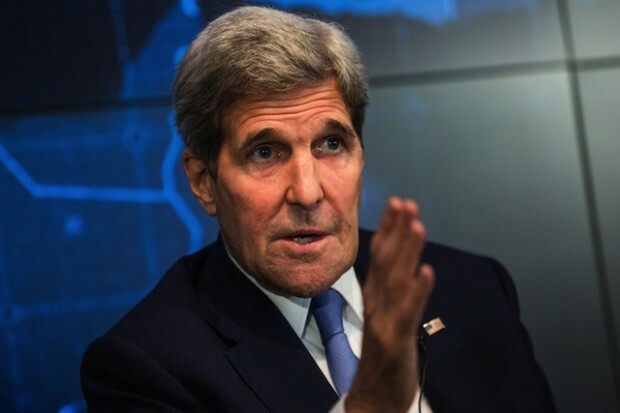 Secretary of State John Kerry said something pretty alarming and it left Glenn Beck shocked. It’s no secret that Obama and many of his cronies want the Iran deal to be the law of the land. And now they are out trying to scare the American public into supporting it as well. This statement should be alarming to many people. For many years now, some of us have been giving warning to the workings of other countries wanting to move away from the US dollar. This is one of the reasons, if not the only reason, for the alliance of BRIC (Brazil, Russia, India, and China). When you look at two of the names listed, you should start to wonder. Russia and China. Plain and simple, they want nothing more than to move away from the dollar. And, they are seeing this as another way to make that happen. 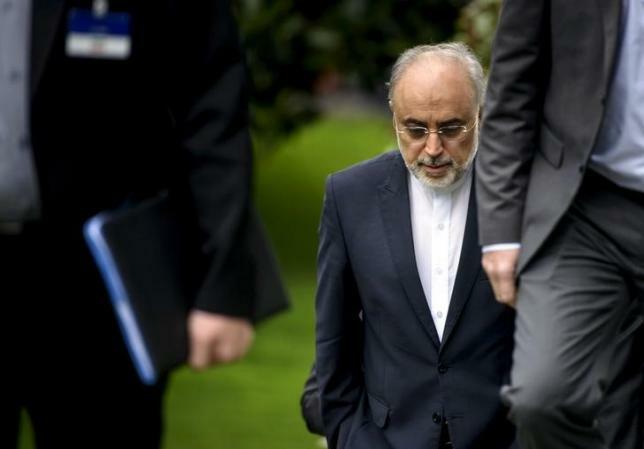 The Obama administration is playing fool and supporting the push to a bad Iran deal. Remember when Nancy Pelosi said we needed to pass Obamacare to find out what’s in it? The same thing is happening with the Iran deal. 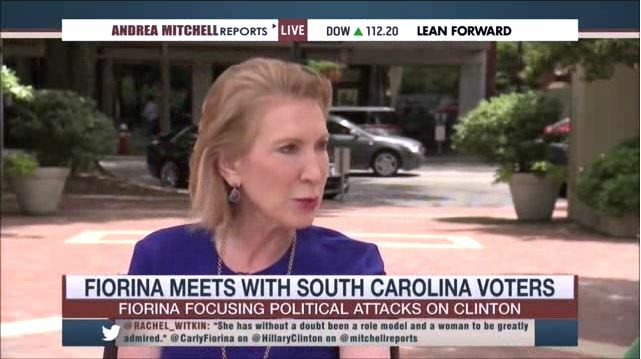 Carly Fiorina, Republican presidential candidate went on the attack against Hillary Clinton on “Andrea Mitchell Reports” on MSNBC. You may have even noticed that Obama has been drawing red lines in the sand with his box of crayons in the form of sanctions. That pretty much sums up all of the going on right now. Obama draws a red line while Putin sits back and lets everyone mock Obama. Putin doesn’t care. He’s got bigger plans and Crimea is just a stepping stone. Putin is an old-school KGB dude that looks far more forward than Obama who thinks in the now. Let’s just look at one aspect: economic sanctions. Obama talks a lot of hype about these. But, have you ever heard of the BRIC and their purpose? Before we get to that, let’s first take a look at who makes up the BRIC. Brazil, Russia, India and China. Those are some pretty big names, and when you know what one of their main purposes is the names are even bigger. That main mission: to move the world away from the dollar. They’ve been working toward this for quite some time now. So for strong economic sanctions to be placed on a country like Russia who already wants to move away from the dollar, it brings into question what effect this would have. And to be honest, these super awesomely strong sanctions that Obama is touting only affect a handful of people surrounding Putin. “Naturally, the use of the dollar, including as the nominal currency, adds additional branding points to this currency, encourages a more active use of the dollar in transactions. This is an additional argument in favor of the importance of the currency in the global market. IF the dollar is not used in contractual documents, it means less significance for the currency that is not used, that’s all. In this regard, I believe, there will be displacement of the dollar, including from the consciousness, from business turnover, and hence, weakening of the dollar, weakening of the prestige of the dollar as the leading global currency,” said deputy chairman of the Duma Committee on Financial Markets Anatoly Aksakov. Wow! When you put it that way, it looks like the one to really be hurt by the sanctions would be America. After all, some would argue that that’s exactly what Obama wants to do. Weaken America’s stance and create a level playing field for all countries. Diplomacy through weakness doesn’t work. It only invites aggression. Which, Russia welcomes. They don’t mind being aggressive with American leadership. The KGB of old wanted nothing more than to see an American collapse. That is what’s on the flip side of this show. While the White House would lead you into thinking Russia would be hurt by all this red line talk, Russia tells their people that in an effort to ramp up the propaganda war. One way of doing that is egging on a response because you’ve just ordered thousands of troops to the border. 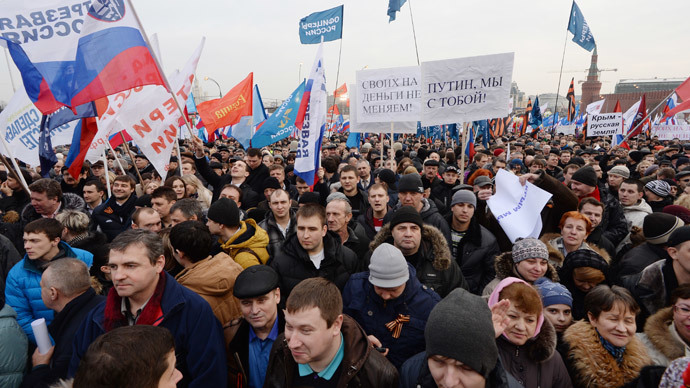 One other thing to think about is the people of Crimea. They are saying that this brings hope for a better life. They say that this would mean more protection from a global player. But in the end one thing remains: Do you really want to lay down with that old Russian bear?